The Capitol is seen on the morning after Election Day as Democrats took back the House with a surge of fresh new candidates and an outpouring of voter enthusiasm ending eight years of Republican control. The deal’s chances were already far from assured before the Democrats took the House. Now its failure is very likely. The American Society of Civilian Engineers estimated that America’s “D+” infrastructure costs an average household $3,400 annually. It also cost lives, as it did when a Minnesota bridge collapsed in 2007, killing 13. 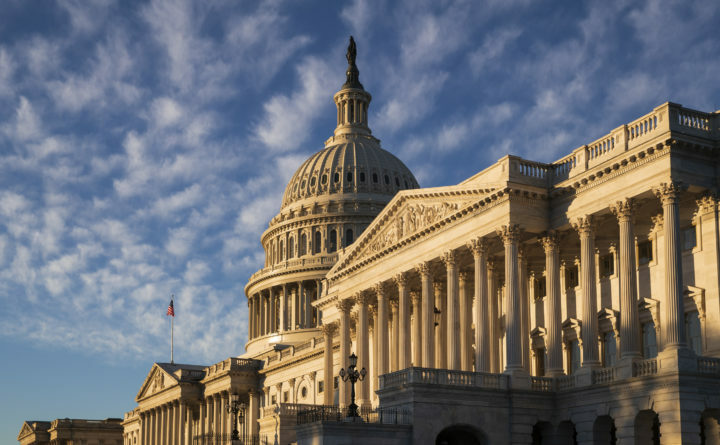 While House Democrats may not support this plan, they would likely be willing to support something that mainly relies on just federal spending. And Republicans have a reason to go along as well: Infrastructure spending would boost economic growth, which is forecast to slow in 2019 — just before the 2020 elections. While a few hundred billion dollars in spending won’t solve the U.S. infrastructure problem, it would be a good start. It would stimulate the economy and also make everyone’s lives more pleasant and less expensive — and may even end a little gridlock (pun intended). Steven Pressman is a professor of economics at Colorado State University. This piece was originally published on TheConversation.com.